The international community is increasingly recognizing that genderbased violence is a constant feature in conflict situations. In military confrontations, women’s bodies often become one of the terrains of war. Physical, emotional and sexual violence perpetrated against women and girls has been used to impose political agendas, humiliate opponents, and destroy entire communities. Violence against women is not merely a side effect of conflict, but an in tegral part of it. The situation that women in Iraq are facing today is a stark illustration of this phenomenon. 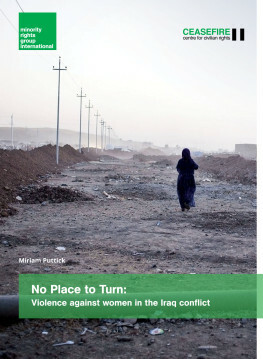 This report documents violence against women directly related to the conflict in Iraq, with a particular focus on violations perpetrated during the upsurge in violence throughout 2013 and 2014. It covers violations perpetrated by all parties to the conflict, including the Iraqi army and police forces, militias with direct or indirect government support, and armed groups fighting against the government, such as ISIS.